The Log Shed is a family owned and run business which has been delivering the finest quality wood across Yorkshire for over 10 years. We have built our business on values of trust, first class products and good old fashioned customer service. We deliver to the domestic market but also to the trade, including restaurants, stove shops, hardware shops, garden centres to name a few. Our friendly and knowledgeable team are at your service. Looking for a log supplier in Huddersfield? Our aim is to provide you with the highest quality products, first class service with a speedy and efficient delivery. Our staff are available 7 days a week to advise you on the best possible products for your needs. We also provide a stacking service and delivery to point service. All our wood is delivered in bags or stacked in crates for ease, convenience and no mess. 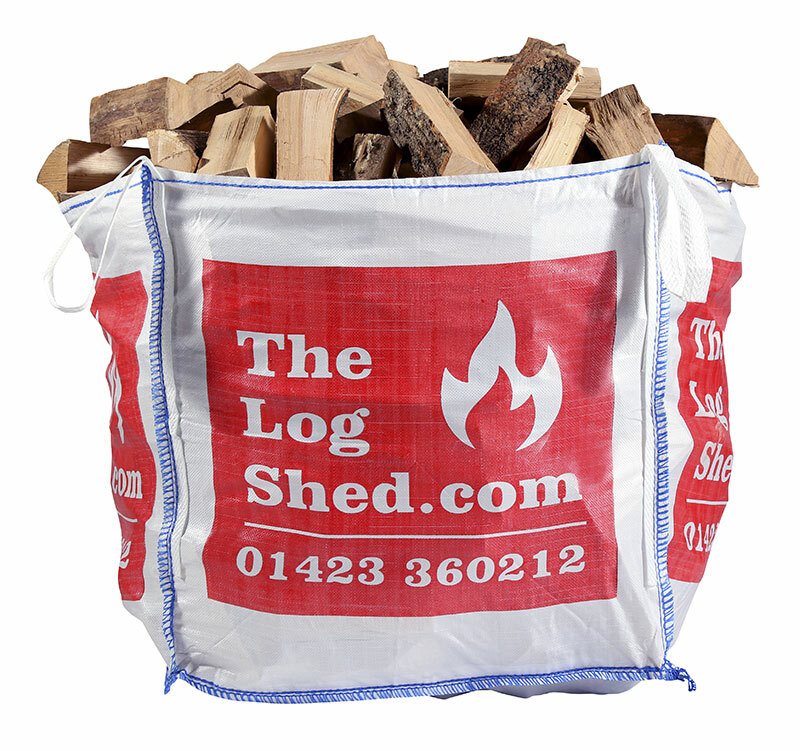 The Log Shed supply’s Yorkshire’s finest quality seasoned and kiln dried logs. We have a beautiful range of log stores, baskets, fireside accessories and much more. With a great product range, superb quality, knowledgeable and friendly staff our aim is to provide you with the best firewood for your needs. The Log Shed supply different varieties of Kiln Dried Logs, including Ash, Oak and Silver Birch. They also supply Traditional Seasoned logs which have been air dried for a minimum of 24 months. Some people prefer a mixture and we cater for this with our Bronze bag which is a mix of locally sourced hardwoods, the bag consists of Ash, Oak, Beech and Birch amongst others. Silver Birch is great wood for first time users as it lights exceptionally easily and produces a clean burn with excellent heat output. As its easy to light with fantastic heat output it makes the ideal wood for pizza ovens. Ash is known as the Rolls Royce of wood as it produces a steady flame and excellent heat output, it is great for wood burning stoves, aga’s and open fires. Oak is the slowest burning wood, it is very heavy and dense and this makes it excellent for overnight burning. A very economical wood. Oak and Silver Birch are the ideal burning combination to get the very best out of your wood burning stove. Silver Birch for easy lighting and getting your stove up to temperature quickly and Oak for a slow, hot, economical burn. Try ‘The Log Shed Twin’ which gives you 1 bag of Oak, 1 bag of Silver Birch and 2 Free bags of kindling and 2 Free boxes of firelighters. Our Traditional Seasoned logs are chopped and then naturally air dried in crates for a minimum of 24 months giving them a low moisture value of 20% on average. The logs are a variety of hardwood species and are recommended for all open fires and wood burning stoves. The Log Shed also offer a great range of log baskets, from extra large, lined to baskets on wheels and a variety of shapes and sizes. Log Stores are another great product being delivered by The Log Shed. They are produced by hand crafted, local skilled joiners here in Yorkshire. Made from FSC sourced and treated wood and built to our exacting standards these log stores will look stunning in your garden, a quality hand crafted home for your logs. They are available in 3 sizes however, we can also build bespoke Log Stores to individual measurements and budgets. The log stores come fully assembled and pre treated for your ease and convenience. We deliver 7 days a week. Unlike many log companies delivering nationally, we provide a friendly and personal service. Our knowledgeable, friendly team are ready to help you! Call 01977 525433 to order today!